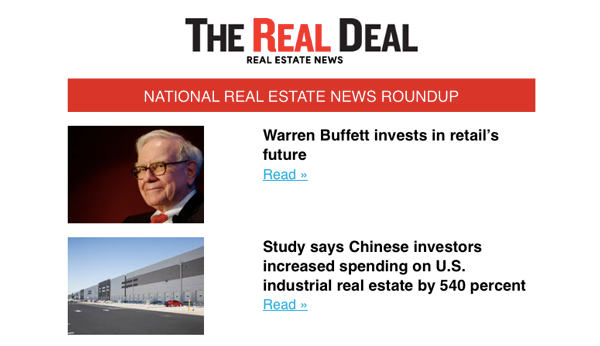 The Real Deal’s National Weekly Roundup features a mix of market analysis, breaking news, insider information and much more. It’s the simplest way to stay on top of what’s happening in the biggest real estate markets around the country. Join 80,000 residential and commercial brokers, developers, lenders, general contractors, architects and other industry professionals by subscribing to the Friday newsletter here.